Time to start getting comfortable pimping your stuff in 140 characters or less. With an upgrade to its marketing platform this week, Twitter is now a legitimate advertising medium for employers. Great news! Today, we announced more targeting options for your Twitter advertising. Based on your feedback, we added new features to connect you with the Twitter users most likely to be interested in your messages. Before the upgrade, advertisers could promote specific accounts and targeted tweets. One popular tactic, for example would be to promote a tweet that might have a hashtag that would get you in front of your prospects. Employers looking to get in front of an audience of techies, for example, might promote a tweet with #SXSW in it to be seen by conference-goers of the popular Austin gathering of geeks and influencers. Target @usernames, to build an audience with similar interests to that @username’s followers. Choose from a wide-ranging list of 350 interest categories. Tailor your content to reach users on laptops, desktops, tablets or smartphones. Target by gender when you want to reach just the guys or just the gals. Worldwide, country, state or metro. Since we’re talking about recruiting, let’s leave the target-by-gender thing alone. It’s likely not relevant unless you’re recruiting for Hooters or Chippendale’s (not that I know anything about those businesses, of course). Interests is the most interesting. Targeting @unsernames, for instance, allows employers to get their message in front of followers of their competition, as well as their CEOs. Wanna get in front of the nearly 50,000 geeky followers of Box CEO Aaron Levie? Maybe the 100,000-plus Jason Calacanis faithful or even the 2 million or so Jack Dorsey groupies? No problem. Perhaps the 1.5 million followers of Apple’s App Store hold the key to your company’s future. Think Github has a few needles in the haystack? Twitter’s here for you. Targeting by location, may be the most beneficial of all for many employers, since most hiring is done in this fashion. The solution doesn’t get quite as granular as, say, Google, unfortunately. Trying to type-in a zip code, for example didn’t take. The option to segment by device may seem irrelevant, but for employers who have a mobile-friendly career site, specifying that your ads only show-up on just iPhones, for example, should keep your costs lower, because there should be less competition for ad inventory. As more-and-more employers move beyond traditional recruitment advertising options, Twitter has proven itself a worthy use of your time to investigate it as an alternative to job boards and even Google or Facebook. 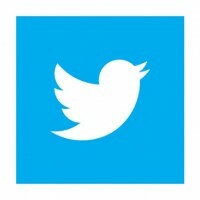 In a unique way, Twitter brings together the best of Google advertising and social media marketing. 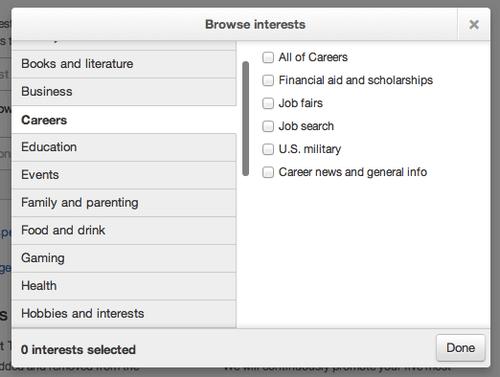 It’s a mashup of interests and demographics, and it’s very cool. A little creepy? Yeah, probably. But when did creepy ever get between a candidate and a career opportunity?